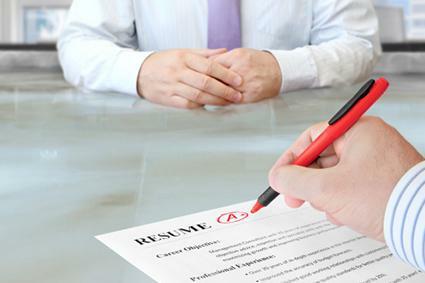 If you can accurately portray why someone is an ideal candidate for a job through written word, becoming a resume writer may be right for you. Some resume writers choose to become certified to separate themselves from the competition, but certification isn't always necessary. In fact, there are many options in this niche market. To rise above your competition and effectively market clients, consider a resume writing training courses or certification. Training courses help you understand the needs of clients and how you can articulate what they have to offer on paper. If a career in professional resume writing interests you, numerous resume writing training courses are available online. These courses can help anyone prepare for this career field, whether they are a seasoned writer or a newcomer. Below are some of the most popular resume writing training courses available. This well-known resume writing training program is broken down into ten informative segments. Segment subjects range from how to market a resume and punctuation to cover letters and advanced resume strategies. This training program helps prepare you for their Nationally Certified Resume Writer exam (NCRW). Each segment costs between $30 and $55, depending on whether you are a member or not. The Career Directors Resume Mastery Course is a hard-hitting training that includes the Certified Advanced Resume Writer Certification. The course is presented by leading resume writer, Gayle Howard, who shares over 22 years of resume writing experience to students. Career Directors also offers an Executive Resume Master credentialing process for those who want to soar to the next level of resume writing. Additionally, they offer a separate credentialing process for those already writing resumes professionally and who are not seeking a training course. The Mastery Course and Certification costs between $1,375 and $1,600. CPP offers a military-specific resume writing program with a built-in certification course. According to CPP, more than 225,000 Active Duty military personnel transition to the workforce each year, many who are seeking a top-notch resume to get them noticed. CPP's training program consists of six modules, a final assignment and exam. Passing this course and exam will supply you with the Master Military Resume Writer (MMRW) credential. The cost of the course and exam is $895.00. PARW is a good resource for resume writers of all levels. They offer different types of resume writing certifications, for those seeking to "further affirm their expertise as career professionals," and they offer a search area for the general public who may be looking for a certified resume writer. Browse the PARW website to learn more about becoming a member, association benefits, and available certifications. To get started, craft sample resumes in a variety of industries and of differentiating career levels (entry, mid, senior level) that can be displayed to potential clients. You can then upload your resume portfolio onto websites such as Upwork.com or Freelancer.com and begin recruiting new clients. Another option is creating a blog or website that specifically deals with resumes and employment topics, and contains a portfolio page of your work and contact area. Be sure to post regularly on your blog about resume-related topics and share these posts via social media in order to maintain visibility with the public. Visit BeAResumeWriter.com and sign up for their newsletter to keep in touch with current news, job openings, upcoming certification classes and more. Consider reaching out to friends and family and offering new client specials as you get your business off the ground. Word of mouth and testimonials from happy clients are tried-and-true ways to increase business. Standard resume services for an entry-level employee with little experience or job history average around $65 per resume. Resume services for a top-level employee can pay anywhere between $200-$300 per resume. The website states an average annual salary of $58,000 for a full-time professional resume writer. As you begin your journey to becoming a resume writer, decide where your energy would be best spent - whether earning a certification, building a blog or website, or creating portfolio profiles to showcase your work. No matter which you choose, remember that resume writing is a growing industry and there are plenty of people who are in need of a dynamic resume.